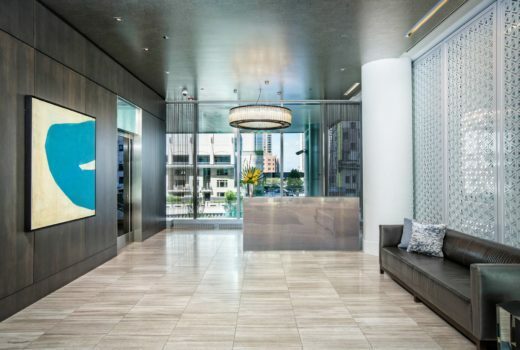 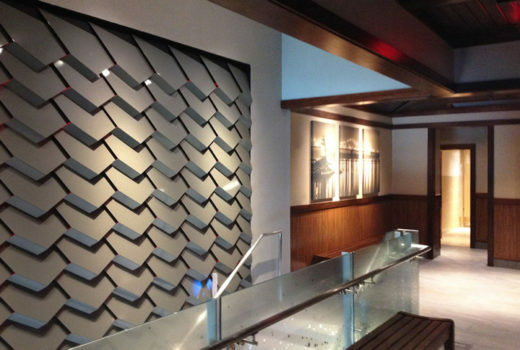 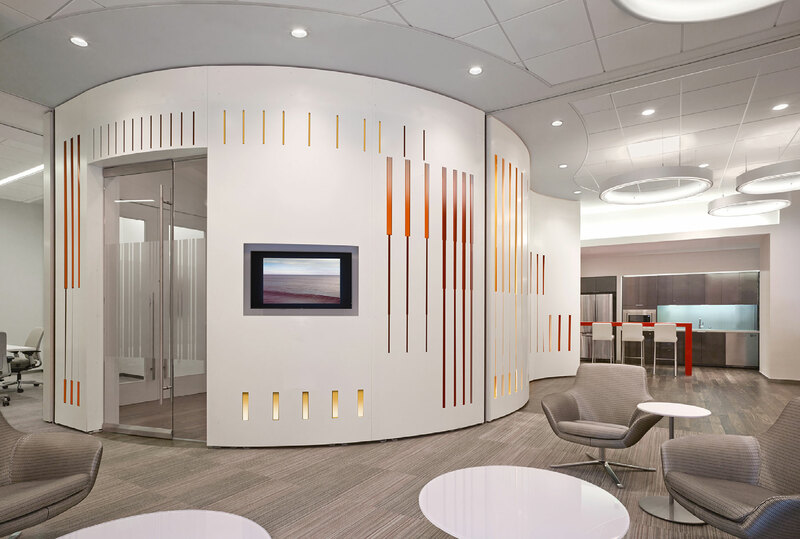 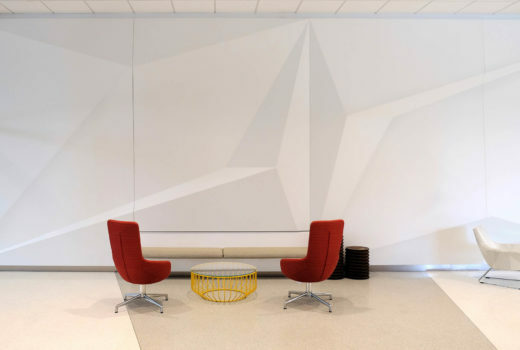 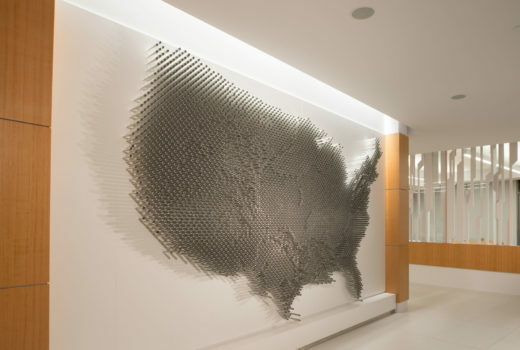 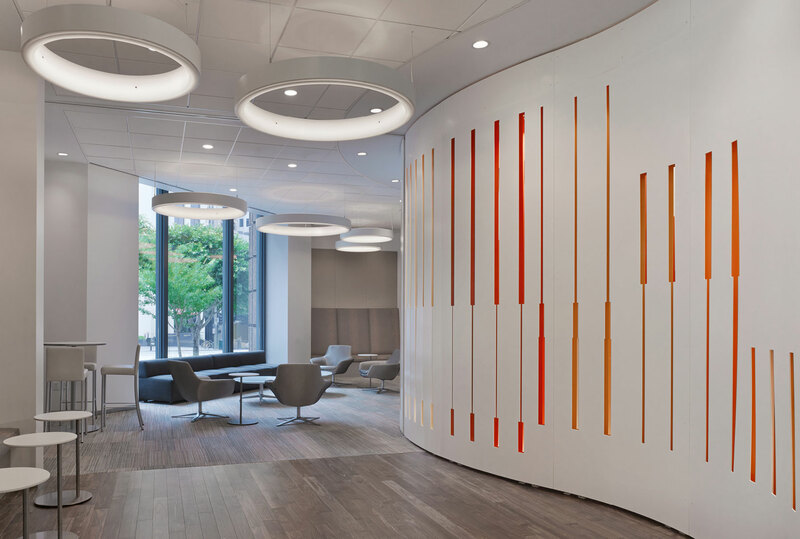 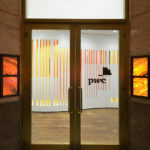 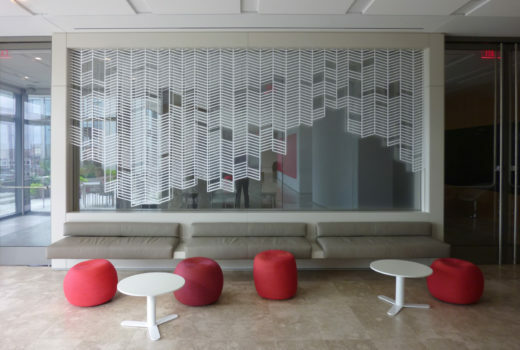 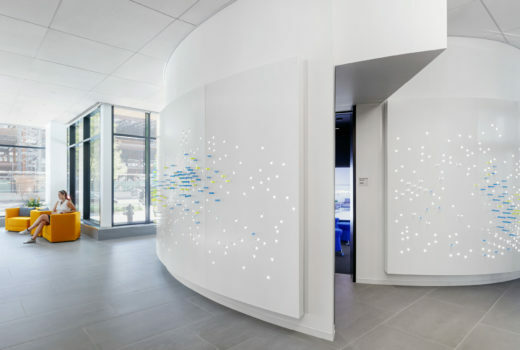 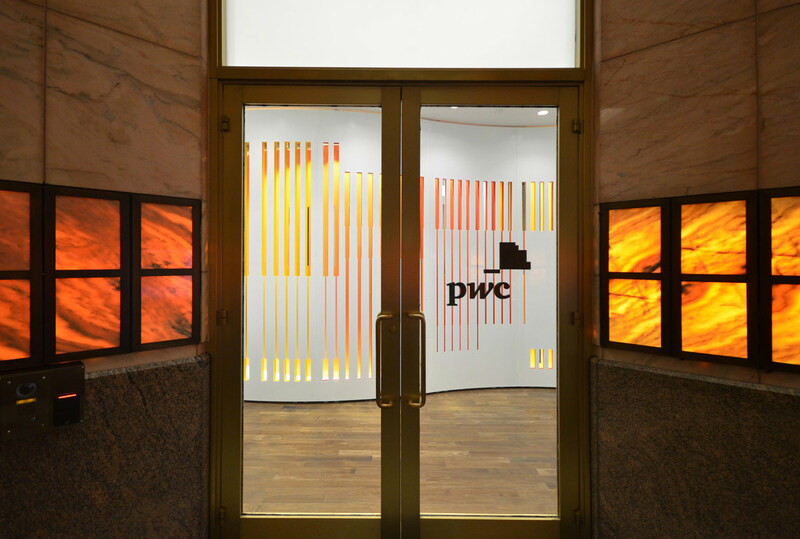 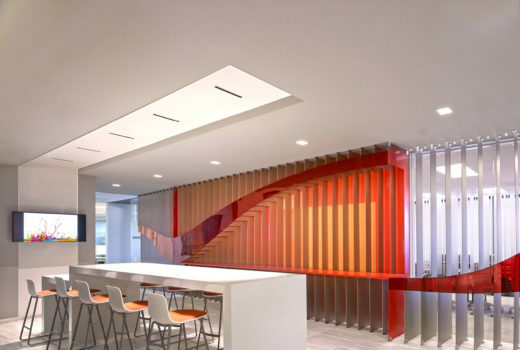 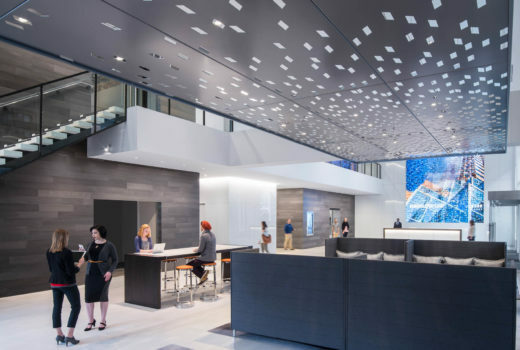 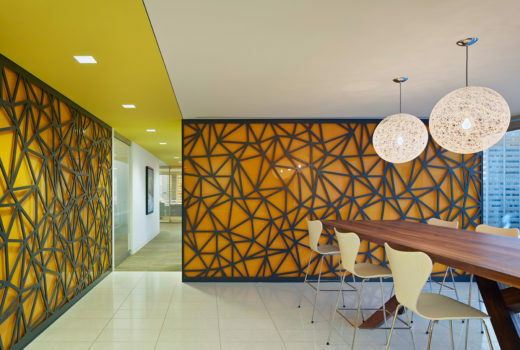 Solutions Studio worked with AECOM LA to create a feature wall in the lower lobby of PwC’s Los Angles headquarters. 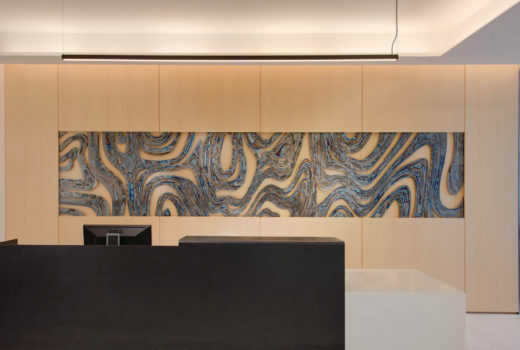 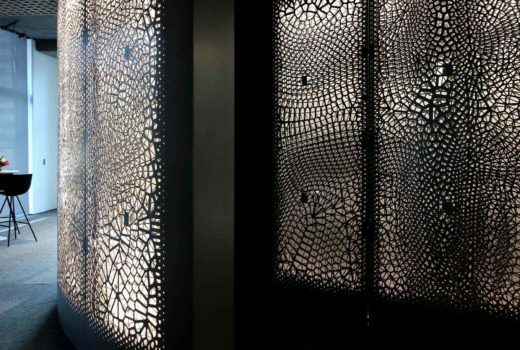 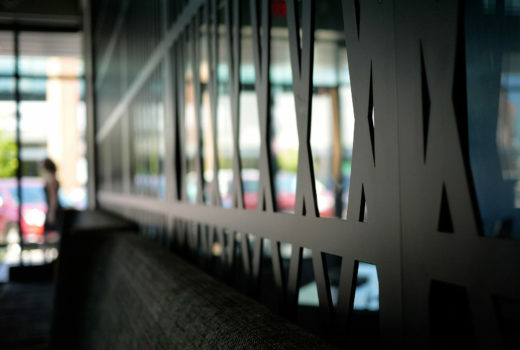 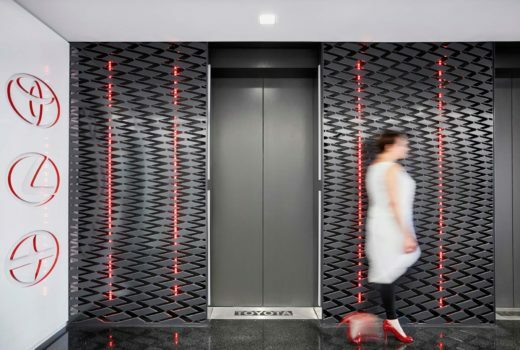 As the wall meanders through the L-shaped space of the lobby, perforations and layering of materials create distinct zones interrelated through either color palette or direct lines of sight. 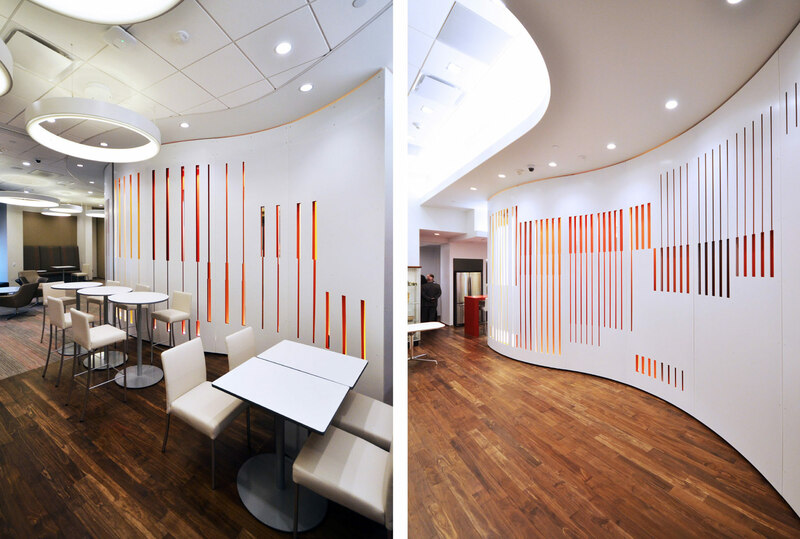 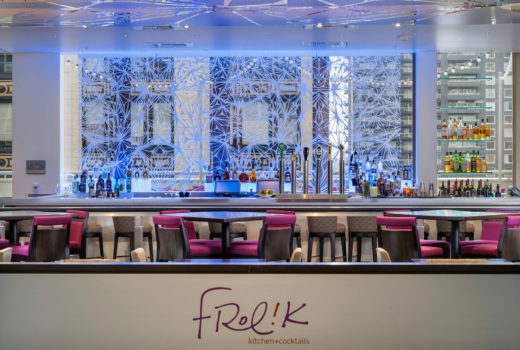 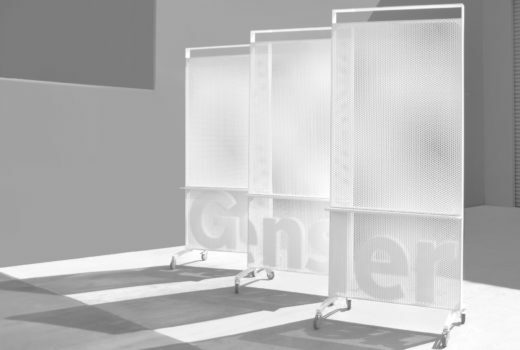 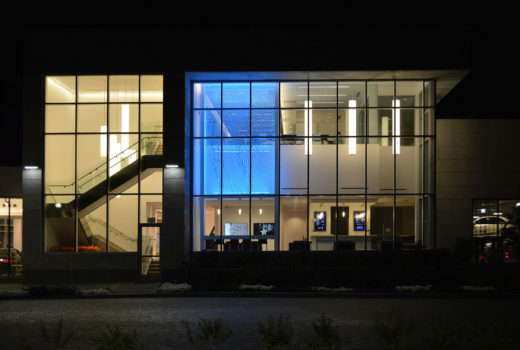 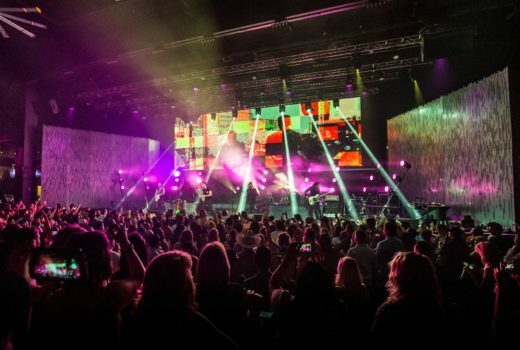 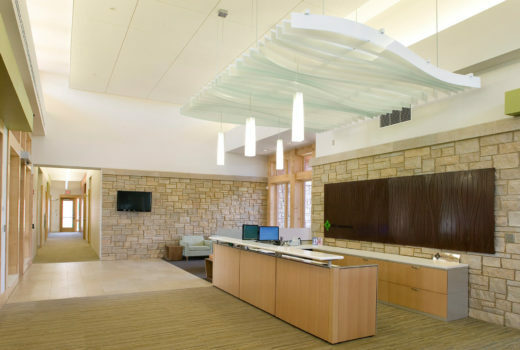 Corporate branding and color schemes are integrated throughout.